Availability: Temporarily Unavailable. Contact us for availability. 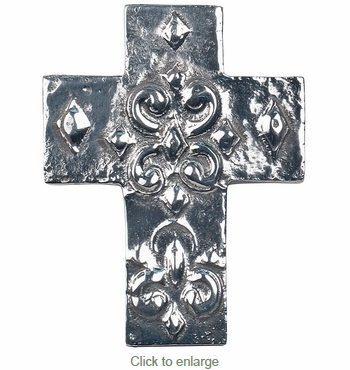 Our pewter crosses make a great gift for someone or you can enjoy the exquisite beauty displayed in your home. Collectors will discover our pewter crosses make a great addition to their collection. Each piece of Mexican pewter is sand-casted by hand and polished by skilled metalcraft artisans and will hold their finish for years with minimal care. Click here for use and care of Mexican pewter.